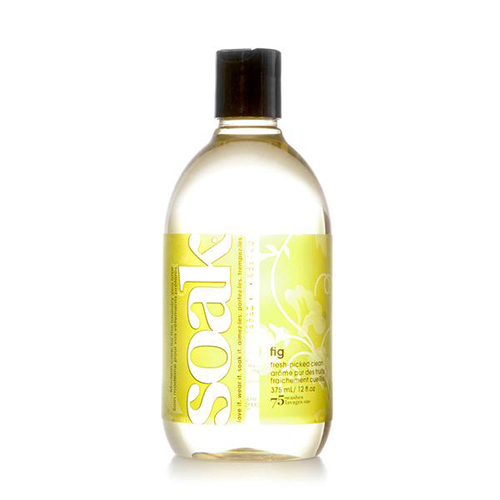 Soak is modern laundry care. It’s perfect for washing your laciest lingerie, softest sweaters, swimwear, workout wear, quilts and all the delicates you care about most. 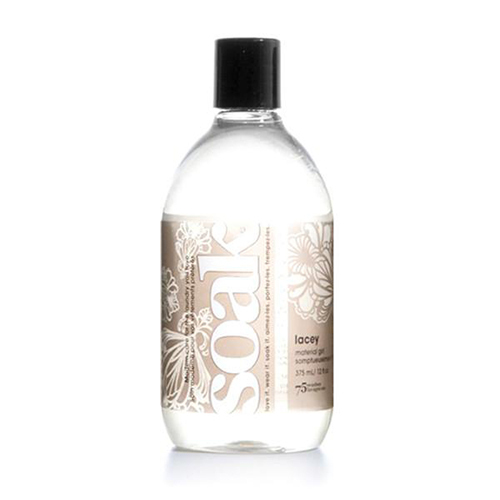 Made in Canada, this eco-friendly wash cleans beautifully, and is ideal for hand or machine washing. Show your laundry (and the planet) some love, with Soak. Celebration – Inspired by the essence of Red Tea. Sweet, delicate and absolutely delicious. Fig – Fresh-picked clean, Fig is ripened with sweet fig and lychee and crowned by dandelions. Lacey – Combines spring blossoms with sweet bergamot creating a light yet alluring fragrance. Pineapple – Travel to the tropics, wearing a lily filled crown, and always be sweet on the inside. Scentless – Scentless keeps your hand-washables and sensitive skin clean and fragrance-free. Yuzu – Clean with a peel: give your laundry a refresh with tart citrus + crushed eucalyptus.